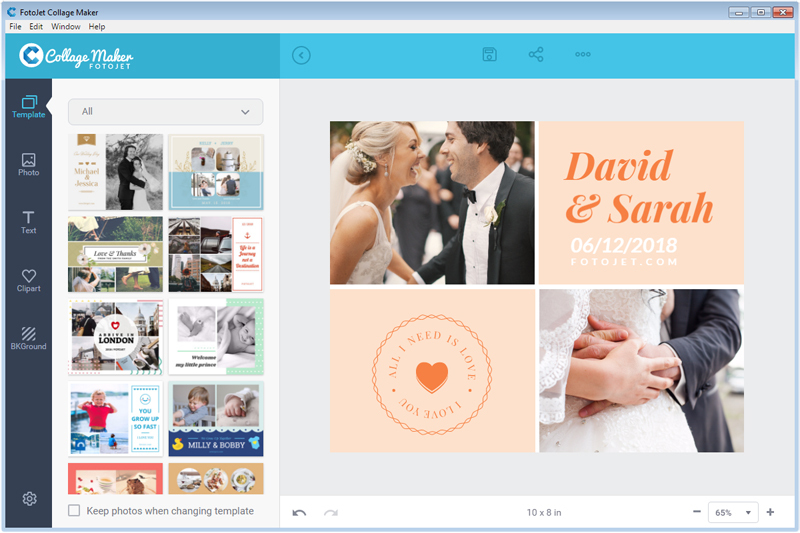 FotoJet Collage Maker not only allows you to create stunning photo grids and collages, but also gives you the ability to make photo cards, posters, comics, fun photos, etc. in a matter of seconds. Its 700+ fully customizable photo grids&collage templates, wide range of text fonts, shapes, clipart images, backgrounds and powerful editing tools help you personalize unique masterpieces with endless possibilities. Create: Buttons, Banners, Bullets, Logos etc... from this simple to use program. Includes a scripting engine for batching hundreds of Buttons in one pass. Large Resource Center and Support Forums.